Real California milk. Grade A. Pasteurized. The very best. Questions or comments? Contact us at: knudsen.com or call: 1-800-348-1492 please have package available. The Very Best: Tom and Carl Knudsen started their California creamery in 1919 with a simple goal: make only the best dairy products by using the freshest, most wholesome ingredients. Almost a century later, we continue our founders' pledge to offer only the very best to you and your family. No rBST (From cows not treated with the growth hormone rBST. No significant difference has been shown between milk derived from rBST treated and non-rBST treated cows). Since 1916. Grade A. Pasteurized. 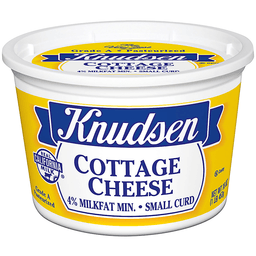 Satisfying and Delicious: Our creamy cottage cheese packs a protein punch, with 14 grams in every satisfying serving. Enjoy it on a salad, in a casserole, mixed with fruit - or even straight from the container. 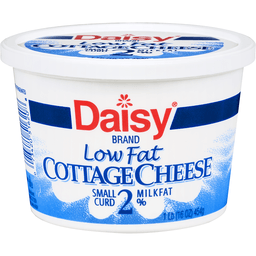 This cottage cheese is made with milk from cows not treated with the growth hormone rBST (According to the FDA there is no significant difference in milk from rBST treated cows and non-rBST treated cows). Grade A. Pasteurized. 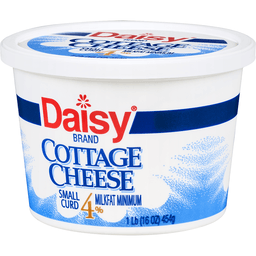 Our cottage cheese is a healthy, versatile cheese that fits as a snack, with an entree, or even as an ingredient in dessert recipes! 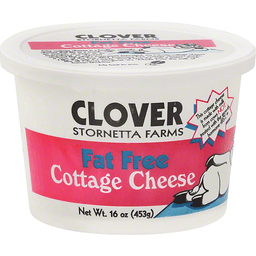 But what's even more important, my Clover cottage cheese is one of the few rBST hormone-free cottage cheeses made. I like the way it's made. You'll love the way it tastes. 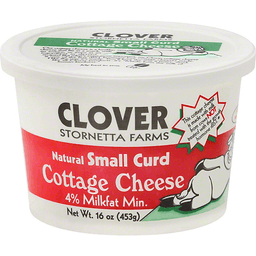 And, like all Clover products - it's made from the milk of human kindness. My best to you, - Clo.